Get that African safari look without the cost of a plane ticket. 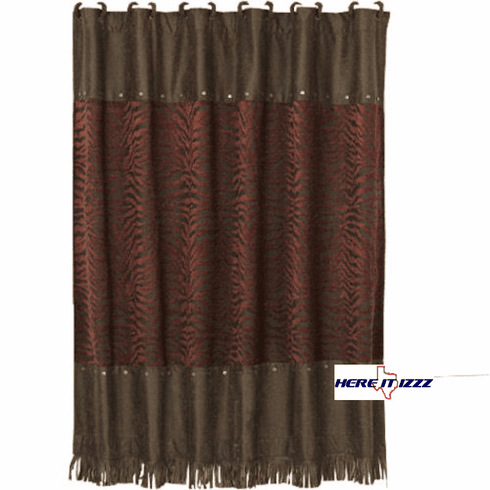 If you like animal print and have a bold personality you will love our burgundy zebra shower curtain. Amazing quality and style will boost the appearance of your shower. Comes with matching fabric covered shower hooks.